According to the Federal Highway Administration Interstate Highway Route Log and Finder List, Alaska has four Interstate highways that creates a 1,082.22-mile system in the northernmost state. 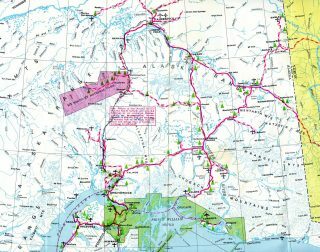 Even though these routes are designated as Interstate highways, they are generally not constructed to Interstate standards and are signed as Alaska State Routes. A-1 from the Alaska-Canada border near Northway west to A-2 at Tok Junction, south to A-4 near Glennallen and continuing west to A-3 at Anchorage. A-2 from a junction with A-1 at Tok Junction west to A-4 and FAP-65 in Fairbanks. A-3 from a junction with A-1 in Anchorage south and west to FAP-21 and FAP-22 in Soldotna via a junction with FAP-31 in the vicinity of Moose Pass. A-4 from a junction with A-1 near Palmer northwest via Wasilla, Denali National Park and Preserve and Nenana to a junction with A-2 and FAP-65 in Fairbanks. For more details and pictures, see Oscar Voss’s Alaska Roads – Interstate ends photos. Thanks go to Oscar and Stephen Summers for assisting AARoads with information and for this page. AASHTO – Route Numbering Committee Agenda, dated June 28, 1982, Portsmouth, NH. Page updated May 17, 2016. 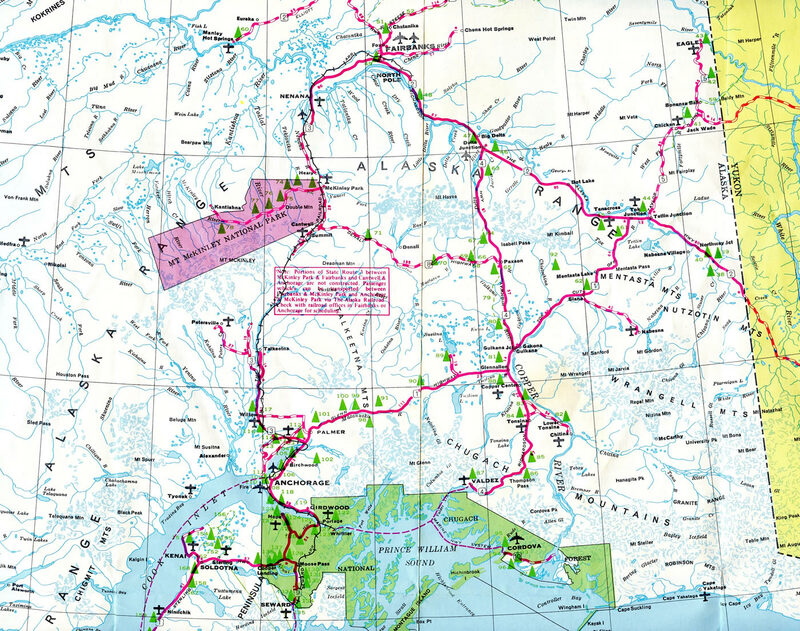 1969 Official Alaska Highway Map showing the completed portions of the Alaska highway network. 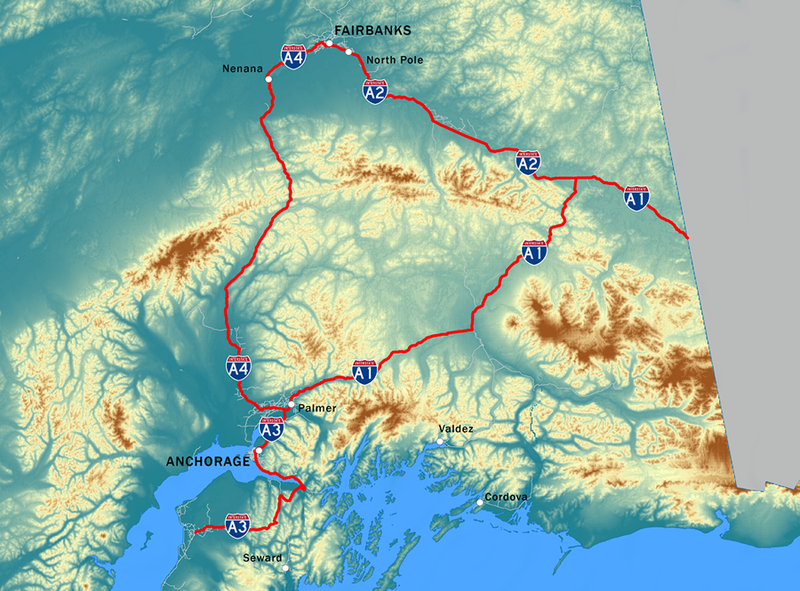 Alaska 3 was the last to be built of the Interstate system within The Last Frontier. The incomplete stretch between Willow and Nenana in 1969 was augmented by the Alaska Railroad, which offered transportation for passenger vehicles.